Kate Chunky Boot E Fit is rated 4.7 out of 5 by 58. 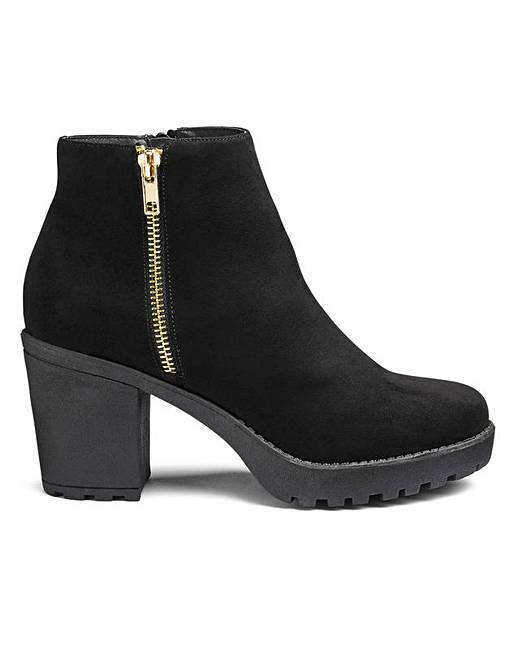 Rated 5 out of 5 by shur from Comfy Thick chunky heel and good zip.. Very spacious. I don't normally go for something this high as I find high heels difficult to walk Inn after a certain age.. But these are very comfortable and easy to walk Inn. 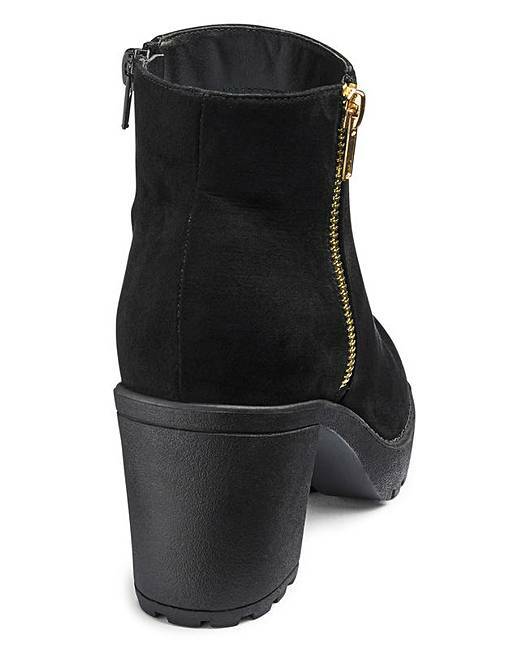 Fab fashionable boot at a great price. Rated 5 out of 5 by LaydeeC from My new favourite boots! I love these boots so much. They're so comfortable and dress up any outfit. I've only worn them twice and got compliments both times. Rated 5 out of 5 by JaneA from Very comfortable I’m really glad I bought these boots 1 was looking for some smart boots but with medium height heel and chunky soles. 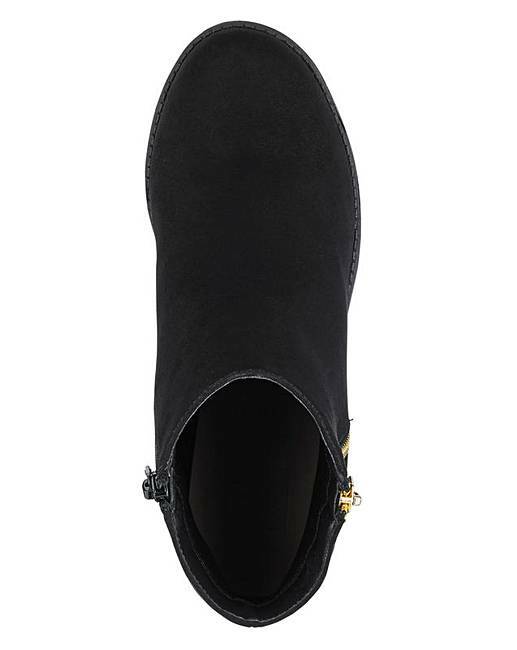 These are so comfortable, easy to walk in but they look really smart so are very versatile. Very glad I bought them. Rated 5 out of 5 by JJ12 from Great Pair of Boots These boots are ultra comfy and I'm sure I will be able to walk all day in them (only arrived this morning). They are not high at all and only a small dip. As I've aged high heels are becoming less and less for me, but I still need a heel of some sort as my feet are not designed to be in complete flats (it hurts the back of my legs). I thoroughly recommend these and at this price they are a steal.